We teamed up with The Childhood Trust and BGC Partners this month to take part in a public-facing campaign called The Summer Give to help raise funds for Kitchen Social. The campaign ran from Monday 11 June – Monday 18 June and during this week, all donations made to participating charities were doubled. We’re delighted to say that we raised a fantastic sum of £124,000 so we want to say a MASSIVE thank you to everyone that supported us! Your donations will now go towards providing 46,000 healthy free meals and activities for 10,000 children during the school holidays which will ​make a BIG difference to the lives of young Londoners growing up in low-income households. 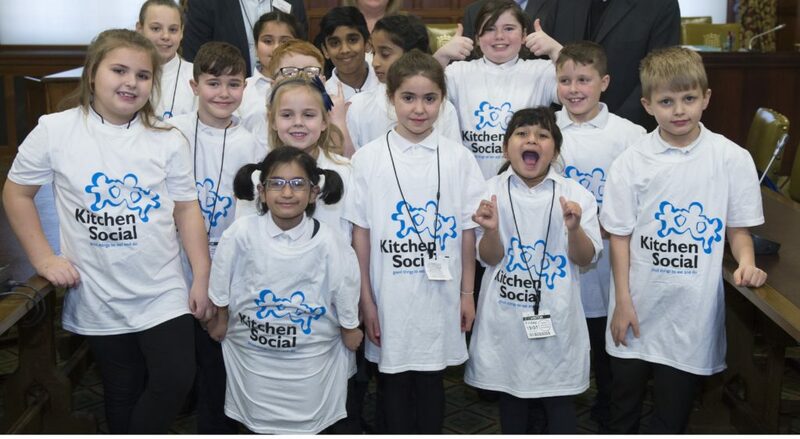 We know Kitchen Social is about so much more than just food. The programme looks at general mental and physical well-being and social integration. Additional benefits include children learning about healthy eating, skills development, social inclusion, and the identification of children and young people in need. Local organisations benefit too, by developing new capacity and capabilities, thus better enabling them to respond to issues they face in their communities. With your support, we can now give even more young people an opportunity to grow and play a greater part in the future of London.